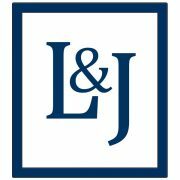 February 2016 - La Cava & Jacobson, P.A. Kari K. Jacobson spoke at the Hospitality Law Conference in Houston, Texas, February 22-24, 2016 on Aquatic Accident Investigations: “What Can Be Done So You Are Not Up The Lazy River Without a Paddle” with a focus on resort pools and water park accidents. Louis La Cava was a judge for the preliminary round and quarterfinal round of the National Trial Competition, Region 6 Mock Trial Competition, hosted by Stetson Law School.